Dr. Hess’ research activities are the areas of thin films, surfaces, and interfaces. Glow discharges or plasmas are used to etch or pattern films, deposit films, or incite polymerization of films. Solution coating techniques, generally using silicon-containing precursors, are employed to generate thin films or perform physical and/or chemical surface alteration. Applications include microelectronic devices, integrated circuits, and microfluidic devices. These processes are also used to impart unique properties to renewable substrates such as paper and wood, where surface modification is used to control wetting, absorption, and adhesion of liquid droplets. 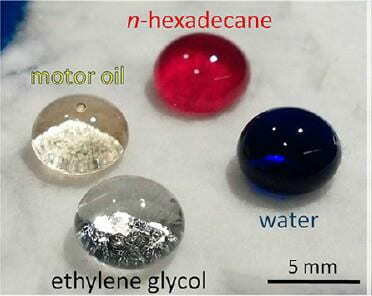 Similarly, plasma, gas phase, and liquid treatments have been used to establish wettability and transport control of liquid droplets on polymers and metal surfaces. Most recently, electrochemical etching has been used to generate nanostructures on stainless steel surfaces that prevent bacterial adhesion.